Have you ever had a hard time reaching a goal because you felt completely overwhelmed by its size? Maybe you tried to tackle it all at once and felt like no matter how hard you tried, you’d never reach your end goal. If so, you’re not alone. Most of us tend to set big, nearly unattainable goals, and then feel bad when we fail to reach them. It’s an incredibly common mistake, and one of the reasons why New Year’s Resolutions are often so ineffective. Luckily, there’s a solution to this problem – one that can dramatically increase your chances of success and make it much more feasible for you to reach your goals. Normally, when people think about making changes in their lives, they often set large goals for themselves and try to achieve them as quickly as possible. For example, they’ll say, “I want to lose weight,” then throw away all their junk food, hit the gym for the first time in months, and lift every weight they can. The next day, they’re sore and achy, and will probably not be able to go to the gym for another week, losing the momentum that pushed them to make a change in the first place. This way of doing things fails because it relies on strict discipline and monk-like willpower. The thing is, willpower is a finite resource. That means we tend to run out of steam before we actually produce any real changes in our lives. 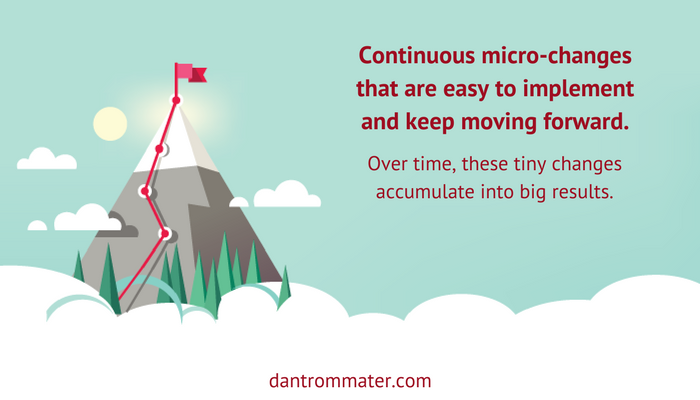 Instead of assuming a daunting goal, a better approach is to make continuous micro-changes that are easy to implement and keep moving forward. Over time, these tiny changes accumulate into big results. When it comes to making changes, focusing on less actually helps you achieve more. The solution I’m presenting to you isn’t new. I first wrote about it almost a year ago, and have spent the past year using it to transform my own life. The principal is simple: if you focus on changing one small habit at a time, you’ll be able to achieve your goals. Let’s take a look at the weight loss example again. If your goal is to lose weight, you can start by focusing on one habit, for example, eliminating the chocolate bar you eat after lunch every day from your diet. 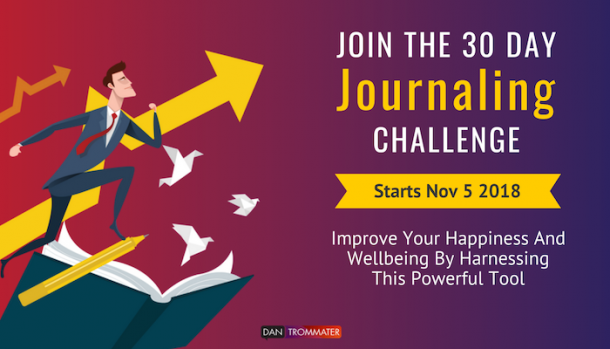 Completing this first task, will give you a newfound energy that you can add on. For example, add a 20 minute walk to your daily routine. Or commit to going to the gym twice a week. Slowly changing your habits, will ensure a real change, that you can sustain over time. One of the authors that has most extensively written about this subject is Leo Babauta. 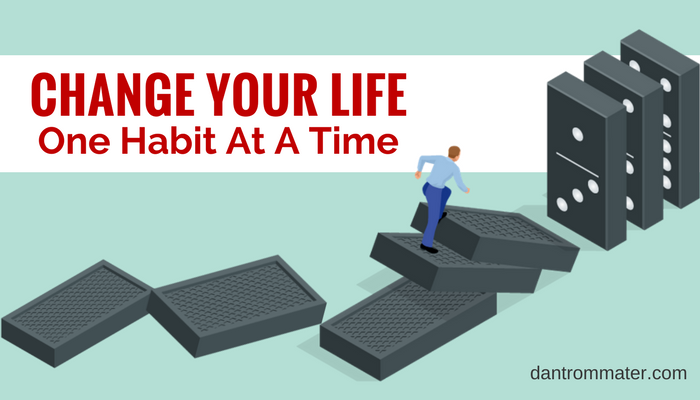 In The Power of Less, Babauta outlines how he managed to completely change his life (he quit smoking, lost 40 pounds and tripled his income in two years) by changing one habit at a time. Tell others about your plan, so that you are held accountable. Report on your progress daily, telling other people whether or not you were able to achieve your goal. 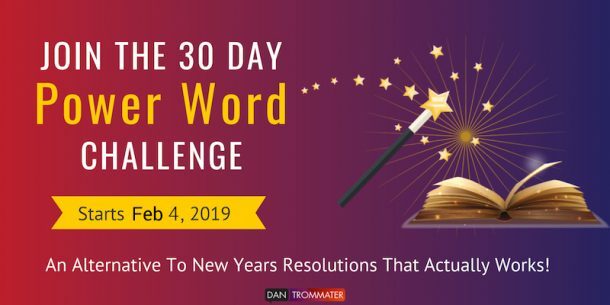 According to Babauta, if you focus on one habit at a time, choose an easy goal, report daily and keep a positive attitude, you’ll be able to form a new habit by the end of 30 days. 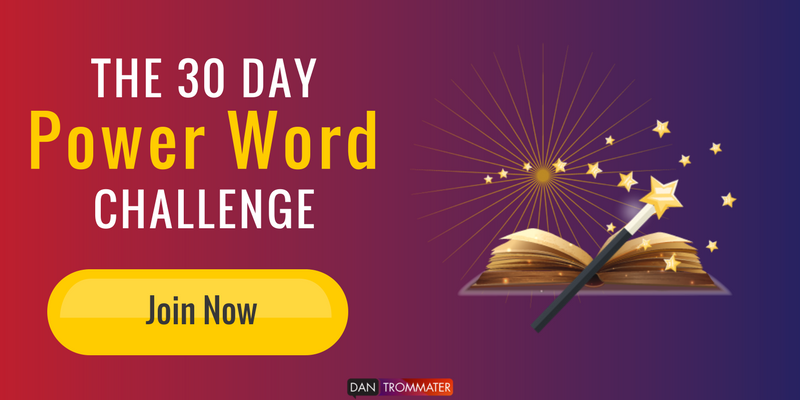 On January 8, 2018, I will be launching The 30 Day Power Word Challenge focused on helping you change your habits, and get closer to achieving your goals. Pick a word or phrase to serve as a theme to help guide the decisions you make as you move towards continuous improvement. Weekly motivations over email or Social Media (you choose).